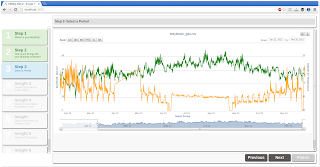 Energy Management: So you have smart-meter data, but is it clean? So you have smart-meter data, but is it clean? A household-name client of ours is very big in Energy Performance Contracting, they, like us face a potentially explosive market demand, and they, like us, understand that the fastest way you can get a take on energy saving opportunity in a group of buildings is using pattern recognition. This can make it viable to "get a grip" on thousands of buildings before pricing services or exposure to expensive in-depth expert surveys on site. 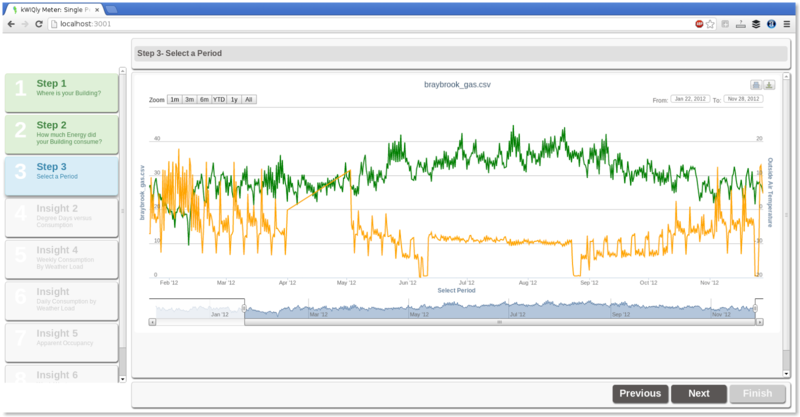 http://kwiqly.com/resources/meter-data-for-energy-management.pdf is a non-technical description of the first thing we do with client energy data to clean it up. It might make you think, or raise problems you have not considered. Please feel do free to comment or circulate the link, stick it online somewhere or whatever (if you do please do also link back in case we make revisions) . In the US The Green Button Initiative is an attempt to address some of these problems which is to be praised, but does not address some fundamentals. So we offer a description of how we prepare data, either for an energy analyst to consume (in spreadsheets or wherever), for an energy manager to archive, or as input into our building energy intelligence pattern recognition tools. We aren't proposing this as a standard, because ideal data changes depending on whether you want to reconcile bills, find waste or identify plant size problems - but it works for us and it might work for you - So as mentioned feel free, to comment or circulate the link or even tweet this page if it rings your bell - it all helps. By the way, if you have data that fits (or nearly fits) these standards from a load of buildings - we may be able to assist you with all sorts of added value - so do get in touch ! Are your Easter holidays overly energetic?